LIVE Transfer Talk: Liverpool's Salah hands in transfer request after Klopp feud? The transfer window for Europe's biggest clubs is closed, but you can click here to review all the deals. Transfer Talk will continue to scour the world's media and set correspondents loose to see what's on the agenda for the summer. TOP STORY: Salah leaving Anfield? Liverpool talisman Mohamed Salah is ready to move on from Anfield after handing in a transfer request, according to AS. 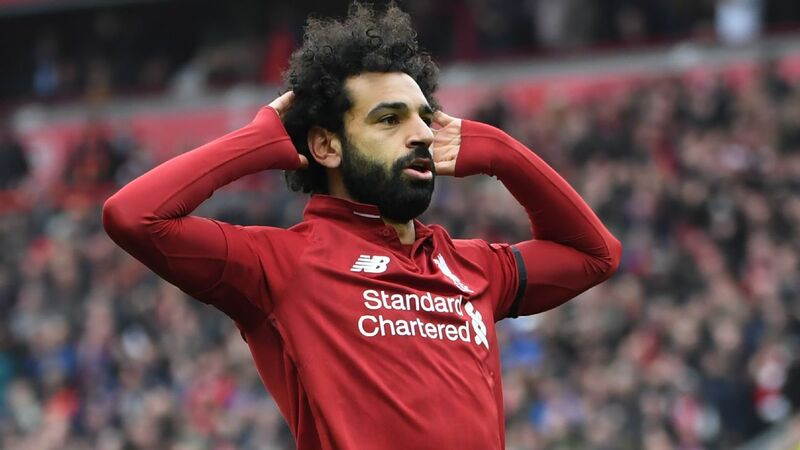 The report claims Salah is unhappy due to a long-standing issue with manager Jurgen Klopp -- and the club's owners have tried to persuade the Egypt international to change his mind, but said they would facilitate his exit, should he still feel the same way in the summer. Adding that last season's Player of the Year could now be on Real Madrid's radar following the news. Salah won't come cheap, however, and the 26-year-old does not have a release clause. 22.00 BST: Breaking transfer news: Tottenham transfer themselves to the Champions League semifinals for the first time. If you were here instead of in the Man City 4-3 Tottenham gamecast, one of the most incredible football games ever played (Spurs won on away goals by the way), then shame on you. That's your lot for TT today. Come back tomorrow for more of the same. 21.02 BST: Get a load of this one. OKdiario editor Eduardo Inda, speaking on El Chiringuito, has revealed that Liverpool told Real Madrid what it would take to sign Sadio Mane. The answer was: Vinicius Jr. Presumably as a straight swap. But Real said no. Presumably because they figured out it wasn't a real offer. 19.47 BST: Porto left-back Alex Telles is attracting the interest of Atletico Madrid, according to the Daily Mail. He would cost £35m. 18.38 BST: News of Jan Oblak's contract extension at Atletico Madrid may have been greeted with positivity by the majority of Rojiblancos fans, but the chances of him staying have only increased slightly. Various reports in Spain suggest the Slovenia international's buy-out clause has only gone up from €100m to €120m. 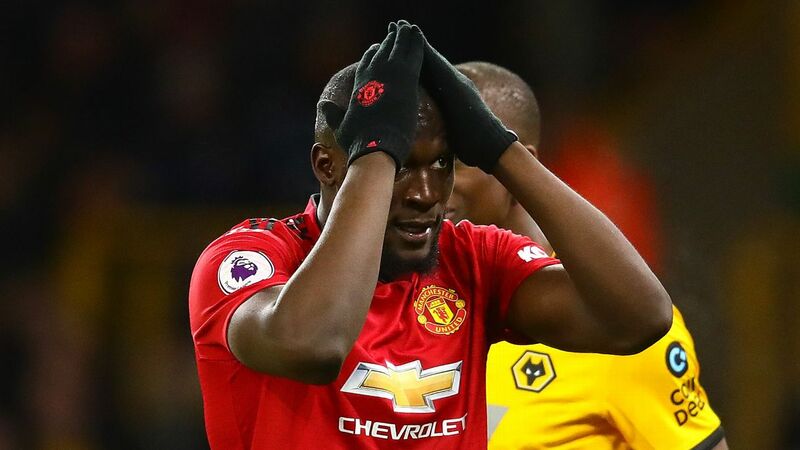 17.13 BST: Manchester United manager Ole Gunnar Solskjaer is targeting at least one signing in every area of his squad this summer, sources have told ESPN FC. 16.03 BST: Eintracht Frankfurt have made the loan signing of Luka Jovic from Benfica permanent. Just a day before the two sides are due to meet in the Europa League quarterfinal second leg. Don't get too excited though, they had an option to and he almost certainly won't see out that new contract until 2023. In fact, the Croatia striker could well sign for Barcelona or Real Madrid this summer. But at least Eintracht will get the cash now, and not Benfica. 15.06 BST: Manchester United are interested in signing defender Niklas Sule from Bayern Munich, according to Sport1. The Bundesliga giants are ready for a huge summer revamp of their back four, with Lucas Hernandez and Benjamin Pavard joining for a combined total of €115m. With ageing centre-backs Mats Hummels and Jerome Boateng unlikely to command huge fees at this stage of their careers, the report suggests Bayern could cash in on United's interest in Sule. The 23-year-old has established himself as a member of Bayern's starting lineup this season and is under contract until 2022. 14.11 BST: Roma winger Justin Kluivert has said he has "no regrets" over leaving Ajax for the Giallorossi in the summer. Kluivert was considered one of Ajax's most valuable players last season but opted to leave for Roma. 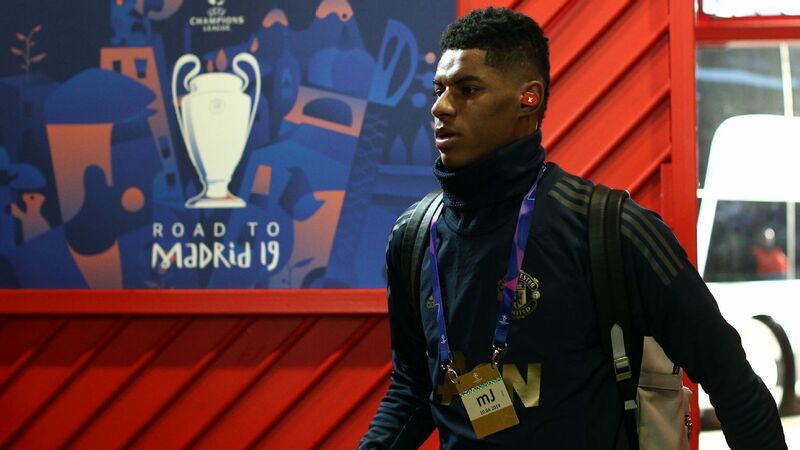 And, while he battles for a place in a side which is fighting to qualify for the Champions League, he watched his former side reach the semifinals, having beaten both Real Madrid and Juventus. "I have no regrets for choosing Roma," the 19-year-old told Fox Sports. "But I always follow Ajax and it was beautiful to see the team beat Real Madrid. "Sometimes I think it would be beautiful to still be there. At Roma I've grown a lot, even as a person. To live alone makes you stronger. I am now a better player than I was at Ajax. I feel that, I know that. "I learned a lot, also off the field. More than I could have learned at Ajax. But maybe I could have learned other things at Ajax." 13.03 BST: Goalkeeper Jan Oblak has signed a contract extension with Atletico Madrid, which will keep him at the club until 2023. The 26-year-old is regarded as one of the best goalkeepers in the world and has kept 115 clean sheets in 203 appearances since joining the club in 2014. "I am very happy to have signed a contract extension and to be here," Oblak said. "I'm going to defend these colours to the best of my abilities and continue working hard." 12.00 BST: Bayern Munich have until June 15 to decide whether they want to sign James Rodriguez to a permanent contract. The Bundesliga record champions would have to pay €42 million for the Colombia international, who is nearing the end of a two-year loan. With unclear signals coming from within the club and Zinedine Zidane's return to Real earlier this year, James' agent, Jorge Mendes, is running out of patience and wants Bayern to finally make a decision, German outlet Sport Bild reported on Wednesday. The paper said that Mendes will travel to Munich this week to gain clarity about James' future. However, with Bayern in the middle of a major squad upheaval this summer, his patience might be stretched for a bit longer. 11.03 BST: Barcelona are close to reaching an agreement to sign defender Matthijs de Ligt from Ajax, club sources have told ESPN FC. The La Liga leaders have the situation "under control," according to the sources, and not getting the deal over the line now would provide similar levels of disappointment to last summer when they were turned down by Atletico Madrid forward Antoine Griezmann at the last minute. Juventus and Bayern Munich are also keen on De Ligt but one source has said the Netherlands international "only wants to listen to Barcelona." The same source added that "as was the case with Frenkie de Jong, Ajax will warn [Barca] if any other clubs make a serious move for [De Ligt]." 10.07 BST: Cheeky second tier Spanish side Cadiz have invited Cristiano Ronaldo to join the following Juventus' elimination against Ajax from the Champions League. Cadiz are fourth in the Segunda Division and chasing promotion. "Hi, Cristiano. Don't be sad because of your elimination by Ajax and come to Cadiz, because in a few years, we'll be fighting there," the club wrote on their Twitter page. Hola, @Cristiano, no estés triste por la eliminación frente al #Ajax y vente para el #CádizCF, que en un par de años vamos a estar ahí luchando. 09.10 BST: Bayern Munich and Germany goalkeeper Manuel Neuer unexpectedly called a new conference yesterday. Will he be announcing his retirement from the national team? Or maybe declaring he'll be leaving Bayern at the end of the season? Or perhaps it'll just be another PR stunt, akin to the infamous app launch in 2012 when the club promised a "spectacular" signing, only for it to be: "Every single FCB fan is the 'spectacular new signing,' our 12th man!" Whatever it is, we'll find out in a couple of hours; the news conference is scheduled for 11.00 BST. 08.20 BST: Juventus sporting director Fabio Paratici insists that Moise Kean, one of Europe's most promising young players, has a long-term future in Turin and that they will renew his contract soon. 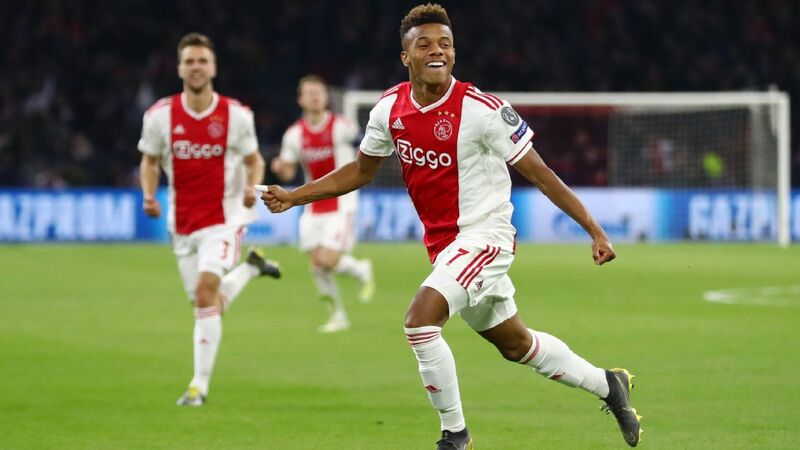 "There's no news, but we're relaxed about it and we've been working with his agent for a long time," Paratici told Sky Italia before Tuesday's 2-1 loss to Ajax in the Champions League. "Moise grew up with us and has a Juventus mentality, and you can see this on the field. "He could be an important player for Juventus and the national team for many years to come. He's a good lad who still can give a lot to Italian football." Mauricio Pochettino's Tottenham are the favourites to land Fulham wide man Ryan Sessegnon this summer, according to the Sun. 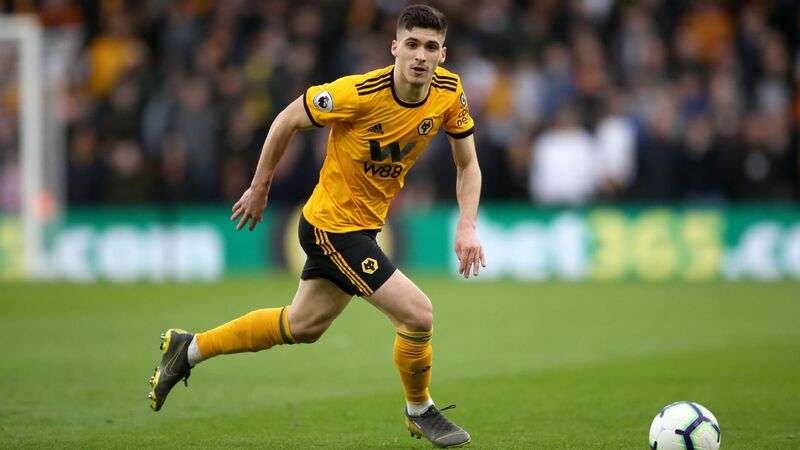 Fulham are expecting plenty of cash offers for their left-sided starlet, whose contract runs out at the end of next season, following the club's relegation from the Premier League. However, the report states that the Spurs boss is rumoured to be at the front of the queue. 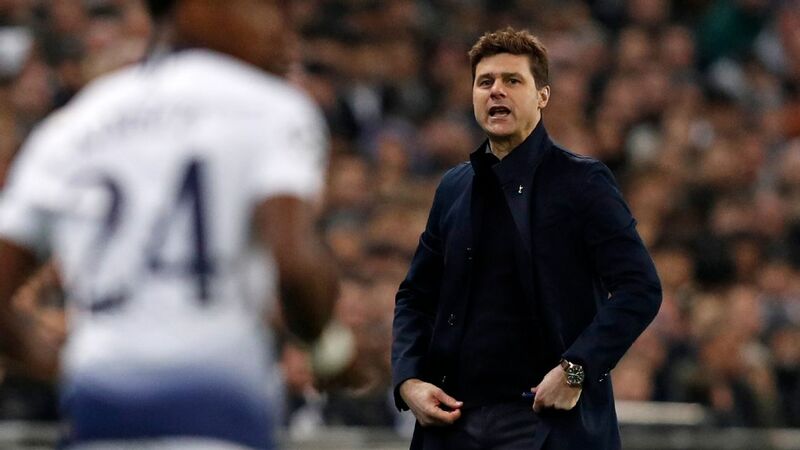 Spurs will face pressure from Paris Saint-Germain, Manchester United and Borussia Dortmund, but Sessegnon will know he can expect plenty of opportunities across London, such has been Pochettino's propensity to play his young players. Fulham will be reluctant to let their star man leave Craven Cottage as they seek to return to the top flight at the first attempt, but they will take a huge offer this summer over losing the 18-year-old on a free a year later. 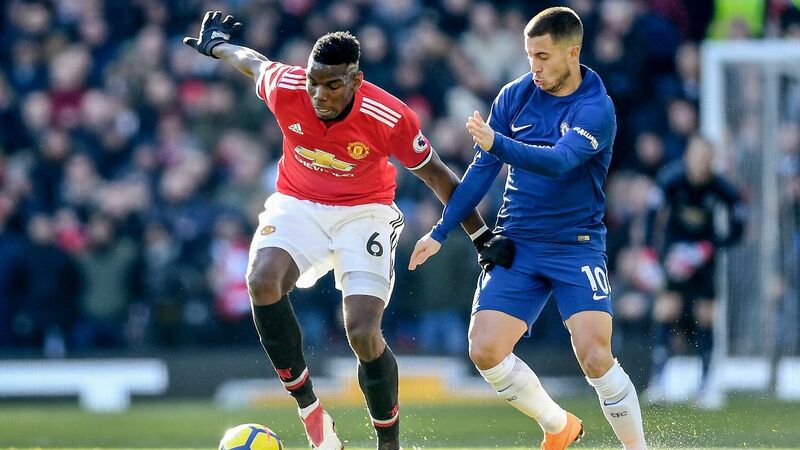 Chelsea have identified Nicolas Pepe as the man to replace Eden Hazard, should the Belgian depart for Real Madrid this summer, reports the Mirror. Hazard is widely expected to team up with Zinedine Zidane at the end of the campaign and Pepe is keen to leave Lille at the same time. 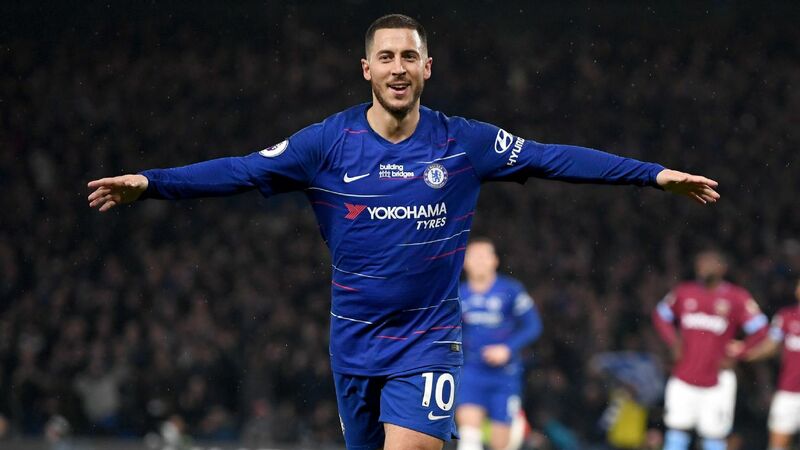 Chelsea would have to not only part with £70 million to seal the deal, they would also have to first successfully overturn their transfer ban if they're to land their man. Pepe has been irresistible this season. 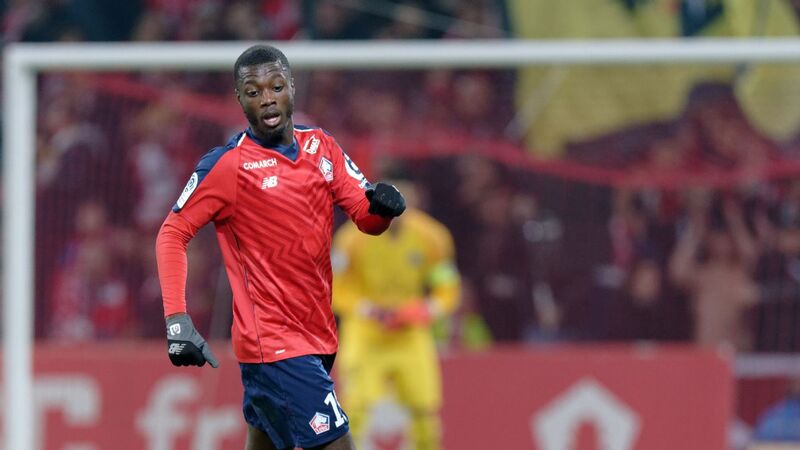 The 23-year-old Ivory Coast international has scored 19 goals and added 11 assists in 32 matches, which has seen Lille climb to second in Ligue 1. Arsenal, Tottenham and Manchester United are all keeping tabs on the winger, too. The arrivals and departure lounges at Milan airport could be busy this summer if rumours circulated by Calciomercato are to be believed. First, two potential incomings at AC Milan, with the expected permanent signature of Emerson Palmieri from Chelsea first on the agenda. The Brazilian-born Italy international could return to Serie A if the Rossoneri meet Chelsea's £25m valuation. They're also suggesting that Milan are contemplating returning to Camp Nou in an effort to tempt Malcom away from the Catalan giants. 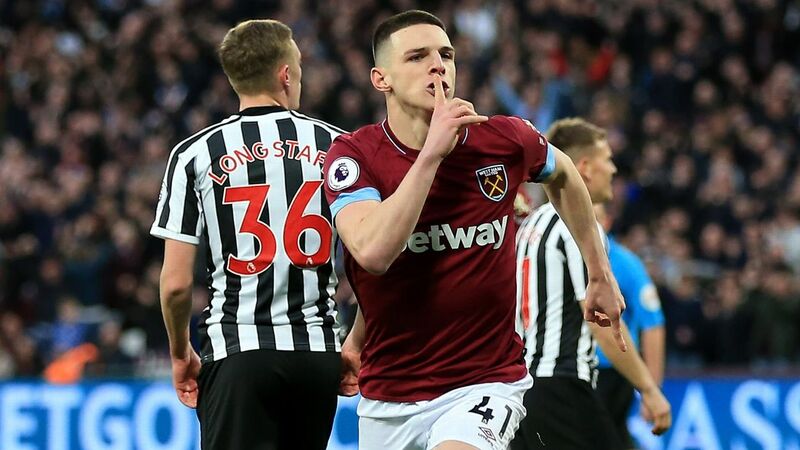 The two clubs discussed the possibility of a loan deal in January, but talk has now switched to the possibility of a £50m move. At Inter, it would appear that Ivan Perisic's time is up. Calciomercato reports that the Croatian is keen on a move away from the San Siro this summer, and despite having three years left on his contract, both club and player appear to have agreed to let the player leave for €35m. - Gareth Bale's future remains unclear, with Marca suggesting the Welshman doesn't figure in Zinedine Zidane's plans beyond this season. The Spanish paper is suggesting that Bale's lack of minutes under the returning Real boss -- getting just 10 minutes against Leganes at the weekend -- means that he'll be off in the summer. - Arsenal could activate a buy-black clause to bring home Ismael Bennacer amid interest from Napoli, according to the Mirror. Arsenal offloaded the youngster to Empoli, for whom he has helped win promotion from Serie B before holding their own in the top flight. Arsenal have the option to buy him back, but the Algerian international could be tempted to stay in Italy if Napoli come calling. - Ole Gunnar Solskjaer has admitted he will be making as many as four signings this summer as he looks to close the gap on Tuesday's conquerors Barcelona. The Norwegian boss hinted that there could be a number of ins and outs this summer, and he will be given a transfer kitty of £200m, writes the Standard.